Look 👀 up in the air. Look 👀 up in the sky. Look 👀 up at the clouds ⛅️. You rely on the clouds to determine the weather for the day. You do this every day without giving it a second thought 💭 . But what exactly is a cloud? Figuratively speaking, Wikipedia describes it as “a visible mass of liquid droplets (usually water vapors💧) suspended in midair. That simple word takes on other connotations. It’s also used Metaphorically. – I’m on Cloud Nine. – Every cloud has a silver lining. The most familiar idiom relates to having your “Head in the Clouds”. This implies that you could be aloof, fanciful, absentminded or unfocused. How do you get your head out of the Clouds? Well, you need to shake it off. Stop daydreaming. Bring your mind back to reality. Keep your feet on the ground! Stay grounded with reality! Take practical action! Get real! 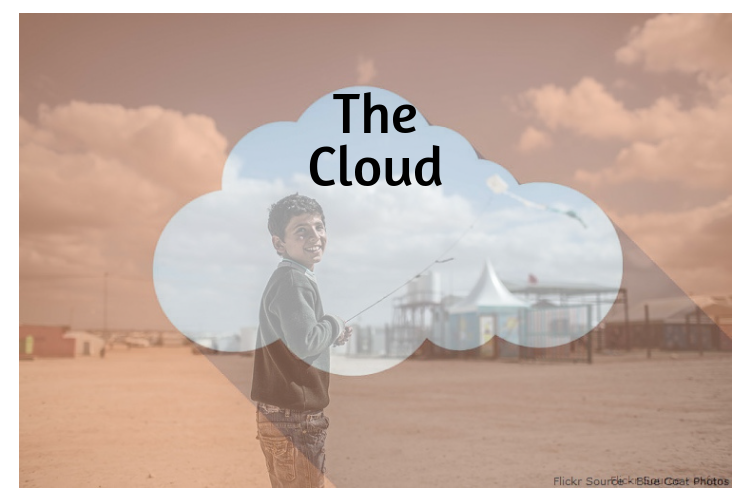 Another metaphor for the word cloud, in the world of computer technology and social media is – THE CLOUD. Mythically, imagine it as a massive computer server powered by generators stored in warehouses. It’s often referred to as Cloud Computing or Cloud Hosting. It’s a means to deliver enterprise applications. Finally, it is the preferred solution for companies to extend their infrastructure. Cloud Computing is a virtualized pool of resources available on demand. Its greatest advantage is its agility. It can compute, store and network resources. 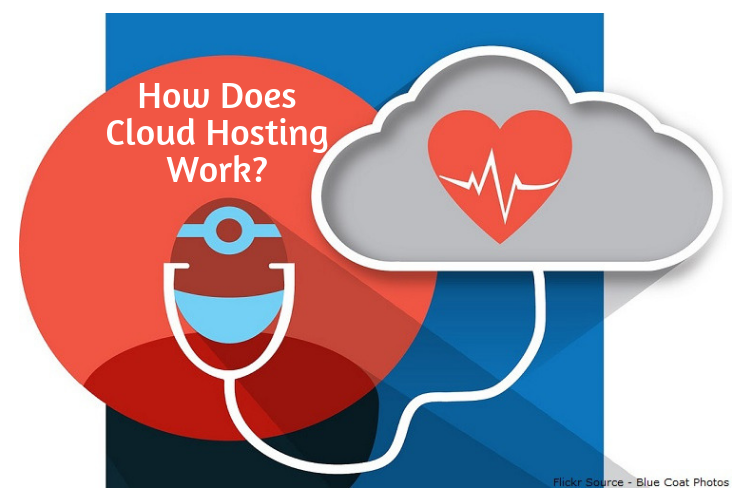 Cloud Hosting can manage and support peak load time activity. This type of hosting doesn’t rely on just one server. Thus, if one fails, other kicks in as a back-up. It’s like getting your head out of the cloud. It keeps your business grounded. The concept is to “Divide and Rule” your resources for maintaining your website across more than one web server. Cloud hosting reduces the chances of any server downtime or malfunction. Cloud Hosting achieves this by using multi-cloud sources rather than one single public cloud. It runs workloads remotely over the internet with a commercial provider data center. It allows you to utilize the multi cloud approach, by using more than one public cloud server such as Amazon Web Services, Google, Microsoft Azure and more. Compare this to teamwork. Remember, there is NO I in TEAM. In order to keep the wheels of progress and productivity rolling you need a team. The wagon gets there faster by being pulled with a TEAM of Horses. You just get better results working as a team rather than going it alone. Your team gives you support. You back each other up. You have someone to rely on. You have a backup resource in case of emergencies. It provides seamless and cohesive service to your clients. You work as a team each day. Treat your website server like a team as well. Amazon Web Solutions (AWS) – Amazon has a host of web services from database to storage, developement etc. As a consumer you can easily integrate your apps in the AWS cloud and speed up your processes securely and save money at the same time. Oracle Cloud – Oracle is more about running apps rather than just store and use. When running applications, the technical side of the cloud is what matters and here’s where Oracle cloud comes out on top! Alibaba Cloud – With over a Million+ paying customers, Alibaba cloud is a fast growing cloud business. As far as services goes, it pretty much covers everything from Domains, Hosting, CDNs, Storage etc. It is the largest Cloud Provider in China. Microsoft Azure – Bigger brands and companies have always had a liking for Microsoft’s Azure. The cloud solutions provided by Azure is both secure and costs lower as they too have a pay-as-you-go model. Also, do note that it is Microsoft – and if you are guessing that it is only for Windows then you are wrong as it supports Open Source Applications and Technologies too. Less Downtime – No server malfunctions like with the old servers. No Bandwidth Issues – Cloud hosting allows you to manage your peak loads easily since another server can provided the additional resources. Hosting can be accessed anywhere – online. NO more sending email links – they can be accessed via a link. Backups – You all know how important it is to have backup files today. With cloud storage with you use it as a back-up plan by providing a second copy of important files. Save Money – Businesses no longer need internal power to save files and storage. They also do not have to pay for storage either. Finally, there is no need to buy, house and maintain your own servers. Finally, Better Performance – Less strain on a server for faster web speed. Are There Any Disadvantage with Cloud Hosting? As with all things there a few disadvantages too with cloud computing. Accessibility – If you have no internet connection you have no way to access your files. Bandwidth Allowance – Some services only have so much bandwidth – so be sure to check yours out before making a purchase. You want to be sure you have enough bandwidth to not run out. Moving Files – You must be very careful when you need to drop and move files with cloud hosting. Copy and paste always works better than a drag. Security – The risks are minimal today with this, but some companies do have concerns about the security of their websites. However, business now can use a private cloud to alleviate these concerns. Interesting to note: Google does not use the cloud. They still have their own custom build servers which rarely if never go down. Have you ever heard of Google going down? According to Forbes Magazine the future of cloud computing is that the cloud will provide the digital infrastructure of all our world’s cities. Smart elevators, parking garages and even driverless cars will run off the cloud. The future of the cloud will also help all size businesses with their infrastructure especially small businesses as the prices for the cloud services will come down in time too. They have already started to come down in the past couple of years. Recently, Amazon got into the business of cloud hosting. Another area for the future will be with mobile phones. Smart phones will be able to respond immediately to voice commands and photos will be immediately put into categories. Even apps on mobile devices will be quicker than ever before. These will surely help all types of business perform better for their customers who want to order, email, contact in a 24/7 world. The future already is happening now in some places on the newer mobile devices. The same can be said for drones and driverless cars. We are in the beginning stages with cloud computing in the future. The future has begun! It will be interesting to see going forward how far the cloud takes us both in our homes and in our offices. We have all become so dependent on our phones and computers today that any downtime would cause a major disruption in our lives. Next Why Would You Need A Dedicated Server? A good definition of all these cloud hostings. But I am using Bluehost at this time and I am happy with it. Because I don’t have much traffic, so I don’t feel any problem with it until now. Nice post. Thanks for sharing. I am using the digital ocean service and it is a very good service provider. Wow I just learnt what a cloud is and why people use them here. 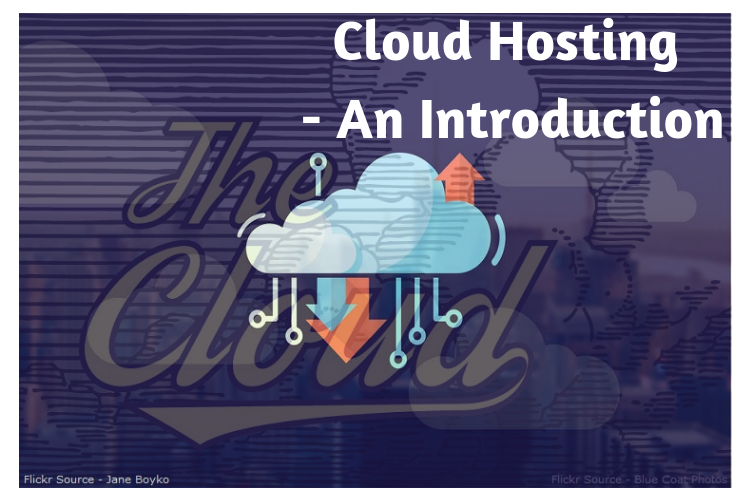 Cloud hosting is a method of using online virtual servers that can be created modified and destroyed on demand. Cloud servers are allocated resources like CPU cores and memory by the physical server that it,s hosted on and can be configured with a developers choice of operating system and accompanying software. Cloud hosting can be used for hosting websites sending and storing emails and distributing web-based applications and another service.